A few months back I wrote a post called "Why I don't make my own laundry detergent (and other things I don't do to save money)." The post received a lot of great feedback, both from people who also don't make their own detergent, and from those who shared why they loved making things for themselves. While I did give specifics about why I decided to give up on making my own suds, the overall point of the post was that what works to save money in one home might not work for another home. Why? Because saving money is not a competition. We all have to make decisions in our lives that are authentic to our values, our time and the other people living in our homes. While it might seem great to make your own laundry detergent, bake bread from scratch, cloth diaper all the babies and grow an organic vegetable garden, all of those things might not work for you. You might not enjoy them, they may require tons of extra time you can't commit and they just might not be effective. None of those things are bad. But they might be a bad decision for you at this time in your life. Seasons of life change and they can change quickly. I talked about this before, but I quit cloth diapering my youngest son because I just couldn't do it anymore. It was no longer a good use of my time and became more about pride than what was best for our family. However, I know large (and small families) who swear by cloth diapering. They say it cleared up diaper rashes and saved them a lot of cash. I quit clipping coupons from my local paper because I found it not worth my time when compared to what I was saving. So instead I just use print coupons and my grocery bill has been largely unaffected. However, I have a close friend who lives on a very slim grocery budget. Without coupons from her local paper she would not be able to feed her family as effectively. What is working for these families doesn't work for me, but I still encourage them as they go along on their journey toward frugal and simple living. I do things to save money or live simply that might not appeal to you. We currently have 25 chickens roaming our backyard. That's a lot of chicken poop to dodge. Don't feel bad if you've had to give up doing things that save you money because they just were no longer worth the time and effort you were putting into them. I have a crazy amount of respect for the women who fit it all in. The moms who bake bread, wash the diapers, make their own detergent. Just like I have a lot of respect for the women work a full time job and come home to read to their kids every night. Bottom line, I just respect other women. So if there is something in your life that you thought was guaranteed to save you money, but instead has only brought you stress. Let it go. Saving money is not a competition. What about you? What have you stopped doing because it no longer saved you money? How just 2 phone calls saved us $50 a month! 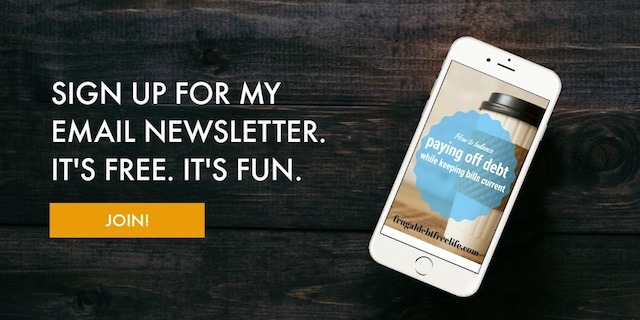 How we lowered our bills and you can too!